Opened in 1991, Beckley Steel Inc. serves the Beckley and surrounding areas providing quality steel products, competitive prices, and outstanding customer service. 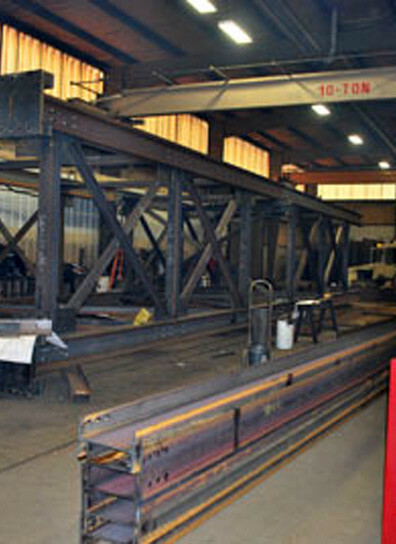 We have a 23,500 square foot building that houses an extensive inventory as well as a complete fabrication shop. Our fabrication shop has the equipment to saw, shear, bend, punch, and weld your specialized project. We also have a CNC burn table that is capable of cutting almost any size or shape plate you would need. Our sales staff will gladly research and special order any items we do not have in stock, and we offer a large delivery area for your convenience. We invite you to give us a call or stop by and let us assist you with your next project.